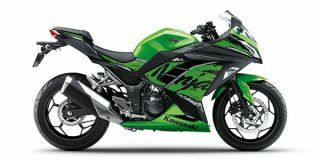 Kawasaki Ninja 300 price in Mumbai starts from Rs. 2.98 lakh (Ex-showroom). Ninja 300 is available in only 1 variant. Kawasaki Ninja 300's top competitors are Yamaha YZF R3 (price starting at Rs. 3.50 lakh in Mumbai) and KTM RC 390 (price starting at Rs. 2.40 lakh in Mumbai). Q. Maintenance cost or service cost for ninja 300? Q. Want to buy a premium segment bike around 2.5 lakhs, my all demand of spec match with NINJA 300, but its price and maintenance lill bit of high. Q. Is there any free service in Ninja 300? Q. Which is worth to buy between KTM RC 390, Kawasaki Ninja and Apache RR 310?